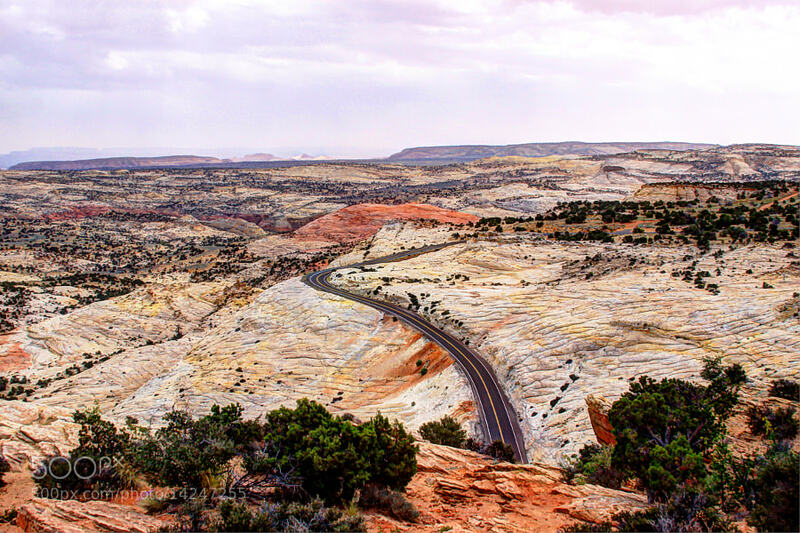 Here’s a picture of the road in Grand Staircase-Escalante National Monument, specifically a place called Hells Backbone (this picture is right next to there). As you can see it is a colorful place to see with inspiring views as far as the eye can see. Some may recognize this particular spot in the road as this is right where you hike down to Upper Calf Creek Falls. Amazing area near Bryce Canyon that is definitely worth taking a trip to.